On October 19th, 2017, the Panoramic Survey Telescope and Rapid Response System-1 (Pan-STARRS-1) in Hawaii announced the first-ever detection of an interstellar asteroid – I/2017 U1 (aka. ‘Oumuamua). Since that time, multiple studies have been conducted to determine the asteroid’s origin, what it encountered in interstellar space, its true nature (is it a comet or an asteroid? ), and whether or not it is an alien spacecraft (it’s not). In all this time, the question of ‘Oumuamua’s origin has remained unanswered. Beyond theorizing that it came from the direction of the Lyra Constellation, possibly from the Vega system, there have been no definitive answers. Luckily, an international team led by researchers from the Max Planck Institute for Astronomy (MPIA) have tracked ‘Oumuamua and narrowed down its point of origin to four possible star systems. Using data provided by Gaia, a team of international scientists conducted a study of the recently-discovered star cluster known as Gaia 1. Located about 15,000 light years from Earth and measuring some 29 light years in radius, much about this cluster has remained unknown. As such, this study helped place constraints on a number of mysteries of this star cluster, which include its age, metallicity and origin. For the sake of their study, which recently appeared in the journal Astronomy and Astrophysics under the title “Detailed Chemical Abundance Analysis of the Thick Disk Star Cluster Gaia 1“, the team conducted a detailed chemical abundance study of Gaia 1 to determine its unknown parameters. From this, accurate estimates on its age and composition are likely to now be possible. Sky map based on the first release of Gaia data (DR1). Credit: ESA/Gaia/DPAC/A. Moitinho & M. Barros, CENTRA – University of Lisbon. This star cluster was first identified in May 2017, thanks to first data release – aka. Data Release 1 (DR1) – from the ESA. Based on photometry provided by Gaia, the Two Micron All-Sky Survey (2MASS), the Wide-field Infrared Survey Explorer (WISE), and the Panoramic Survey Telescope and Rapid Response System (Pan-STARRS1) – the object was characterized as being an intermediate-age (6.3 billion years) and moderately metal-rich system. This combined photometry also indicated that the cluster had a radius of about 29 light years and contained as much as 20,000 Solar Masses. However, further studies found that the cluster was actually far more metal-rich than previously thought. This indicated that Gaia 1 was likely to be significantly younger, with estimates now claiming that it was at least 3 billion years old. In addition, these subsequent studies also raised the possibility that the cluster was extra-galactic in origin, based on the fact that it orbits about 5,500 light years (~1.7 kpc) above the Milky Way’s disk. To remedy this, the team – led by Andreas Koch of the University of Lancaster and the Center for Astronomy Heidelberg – used Gaia data in order to conduct a detailed study of just how metal-rich the cluster was to get a better idea of its age. As they stated in their study: “[T]his work focuses on a detailed chemical abundance analysis of four red giant members of Gaia 1, based on high-resolution spectroscopy, which we complement by an investigation of the orbital properties of this transition object.” This consisted of measuring the abundances of 14 elements within these red giant stars, which were selected from the 2MASS survey. What they determined was that the Gaia 1 was more metal poor than previously expected, which indicated that it is older than the revised age estimates indicated – between 3 billion and 5.3 billion years old. In addition, they also measured the proper motions and orbits of the four target stars, using data obtained from the fifth U.S. Naval Observatory CCD Astrograph Catalog (UCAC5). While this study has helped place constraints on one of a newly-discovered Gaia object, the team acknowledges that there is still much to be discovered about this star cluster. 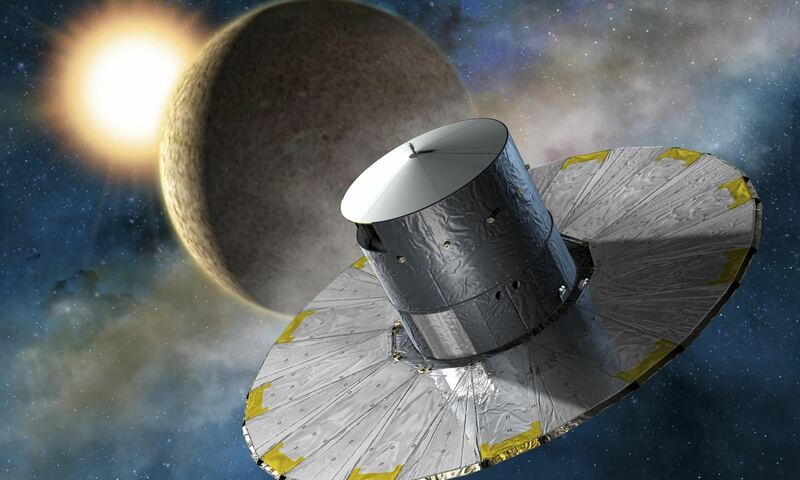 They also acknowledge that there is a margin of error when it comes to their study, and that further research is needed before Gaia 1 can be properly classified. This newly-discovered cluster, and all attempts to better understand it, are merely the tip of the iceberg when it comes to what the Gaia mission has revealed so far. The second official release of Gaia data – aka. Gaia DR2 – is scheduled to take place in April of 2018. This will be followed by a third release in 2020 and, barring any mission extensions, a fourth and final release in 2022.